Five Reasons to Buy an iPhone 8 Instead of an iPhone X - We give you new iPhone buying guide in 5 (five) reason why you should to buy iPhone 8 beside the iPhone X here. Apple has released three new iPhones this year: the iPhone 8, the iPhone 8 Plus, and the high-end celebratory handset iPhone X. 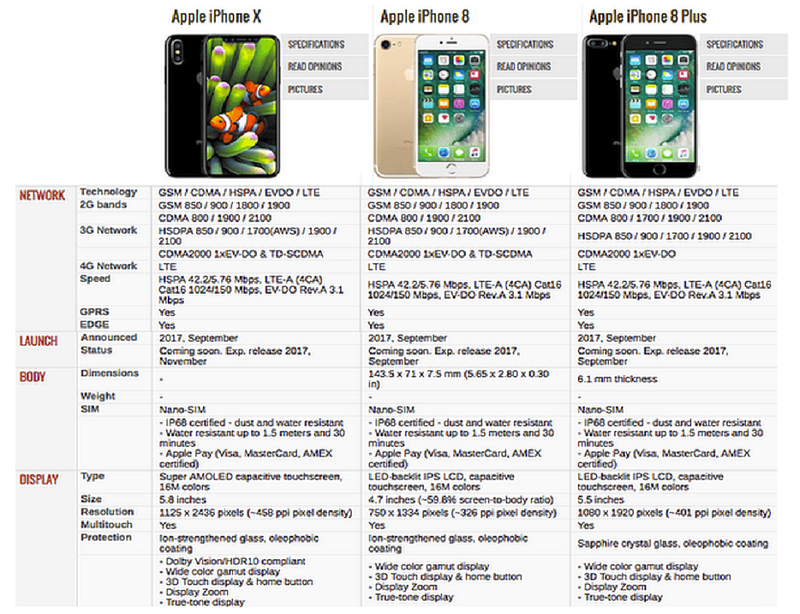 The three newly released iPhones are available at $699, $799, and $999, respectively. From all new iPhones, iPhone X is the most expensive model this year which is in many ways reflects the future of the Apple iPhone. iPhone X is released to celebrate the tenth anniversary of the iPhone, but of course, it is also designed with all high-end specs and feature to make it worth the price. 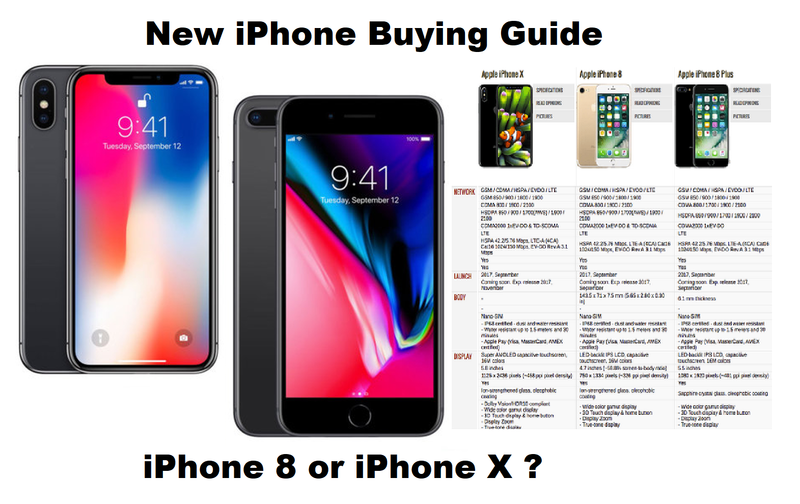 So, if you are stuck between the iPhone 8 and the iPhone X, which one should you buy? We can’t deny the existing the fact that the iPhone X is more expensive than the iPhone 8. For some people, price matter might be the most important factor to consider. Frankly, the iPhone 8 and the iPhone 8 Plus are at their reasonable price to make it better options to buy. They start at $700 for the iPhone 8 and $800 for the larger version. On the other hand, the celebratory iPhone X begins at about $1,000. There is a quite far price gap between those three phones. If you buy the iPhone 8, you can save approximately $300, or at least $200 for getting the iPhone 8 which is still a brand-new Apple phone. Before you get overwhelmed with the big name of iPhone X, consider the same processor which is empowering both models. Yes, that’s true. Apple put the same processor on the iPhone 8 and the iPhone X that is the Apple’s new A11 Bionic chip which is a neutral engine, and the M11 motion coprocessor. So, we can expect that both iPhone 8 and iPhone X will have the same performance. The only difference between them is the use of A11 chip and neutral engine for the new face-detection system. It is the thing behind iPhone X’s Face ID which is not available for the iPhone 8. Beyond that, you can get the same apps and ecosystem on the iPhone 8 as the iPhone X running the same iOS 11. Security feature has become a crucial part of a smartphone to keep everything on the iPhone from being accessed or used by anyone else without our permission. Since Apple released Touch ID on the iPhone 5S, it has changed the way we unlock the iPhone, store passwords, and use our fingerprints to verifying the payments we make via Apple Pay. Touch ID is also a known and proven entity which is used not only on smartphones but also in many different aspects. The Face ID is otherwise, although it seems to work well, at most of the time, it is less reliable. More importantly, Face ID is also considered less fast than Touch ID. As a new feature, Face ID is not proven yet. We can’t predict what could go wrong with this method for unlocking the iPhone. When you make some changes to your face like adding a pair of glasses or get a scar on your face, would it recognize your face? Although they are available at a different range of prices, all of these iPhones support the Qi wireless charging standard. Finally, Apple has made it easier to charge the iPhone by making both iPhone 8 and iPhone X to support fast charging and wireless charging. The iPhone 8 battery have a 1,821mAh , compared to the iPhone 8 Plus have a 2,675 mAh and iPhone battery has X 2716 mAh battery. Sadly, we need to buy extra accessories to have this quick charging and wireless charging. Until we got the fourth reason, don’t you feel that you don’t need to pay more money for getting the iPhone X which is offering almost the same quality of the iPhone 8? If it is not convinced you yet, you may need to read the last reason below. Both iPhone X and iPhone 8 have nearly similar cameras. If you really care at all about photography, there is the fact that the rear cameras on the iPhone 8 Plus and the high-end iPhone X are nearly identical. With the added second telephoto lens on the iPhone 8 Plus, you can zoom in when capturing an image without losing its quality. It is the same thing you can do with the rear camera of the iPhone X. The only difference between the two is the presence of optical image stabilization for both the wide-angle and telephoto lenses on the iPhone X which enables you to get sharper images, especially in low-light settings while the iPhone 8 is only available on the wide-angle lens. For the front-facing cameras, if you love taking selfies, we have also found that they are similar. The facts in the paper say that the FaceTime HD cameras of the iPhone 8 and iPhone 8 Plus are functionally almost identical to the one of the iPhone X’s TrueDepth camera system. 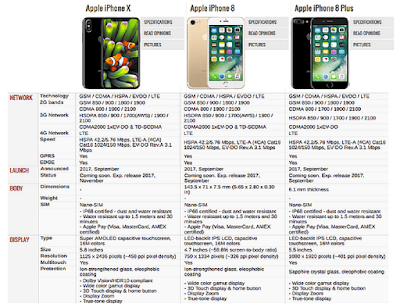 The front-facing cameras of all these iPhones can take 7MP photos with a ƒ/2.2 aperture, or record film video in 1080p. There are a few exclusive software features of the iPhone X’s front-facing camera which the iPhone 8 and iPhone 8 Plus doesn't have. Those exclusive software features are the Portrait Mode for the front-facing camera, Portrait Lighting that lets us remove backgrounds in our selfies for getting a dramatic effect, and Animoji. Animoji is one of the favorite features of iPhone X, that is an animated Emoji which is released with the iOS 11 version. Since this feature will utilize the Face ID facial scanning features, you can’t get it on the iPhone 8.